So, you've decided that you want to become an artist. What are your next options? You might not realize it, but your talents have opened up a wider variety of career choices than just becoming a street artist. Here is a list of a few career ideas that you can put your talents to. The Illustration industry, at the moment, is forever growing. You can now illustrate more traditional things such as images for books or newspapers. We now have a bigger magazine based community than ever before, and there are opportunities for illustrators in a lot of these magazines. You could be writing a comic strip for a website, or designing cards, ceramics, corporate brochures, and catalogues. A lot of illustrators work on a freelance basis too, which gives you the freedom of choice to work in your own style, or have a range of clients, which means that your work will always be new and refreshing from project to project. Graphic design and animation are now two of the biggest careers in the arts industry. With animation companies such as Disney and Pixar being forever more popular, is is becoming easier by the day to create animations in your own home, making an animation has never been more simple. Being a successful animator is another story altogether, but if you think that you have the talent, you might find yourself being the next big thing on YouTube. There are also local animation festivals all over the world where you can display your work. Otherwise, have you thought about everything else that has been digitally designed? You could be designing posters, advertisements, computer games, or brand logos. The choices are endless. Community Arts Work is an umbrella term for a range of different jobs that involve helping the community. This can be in the form of being an Art Therapist for people who struggle to communicate verbally or have trouble expressing their feelings. You could also choose to work with young offenders, and people with disabilities. Being a Community Arts Worker can be extremely rewarding for people who like to help others. 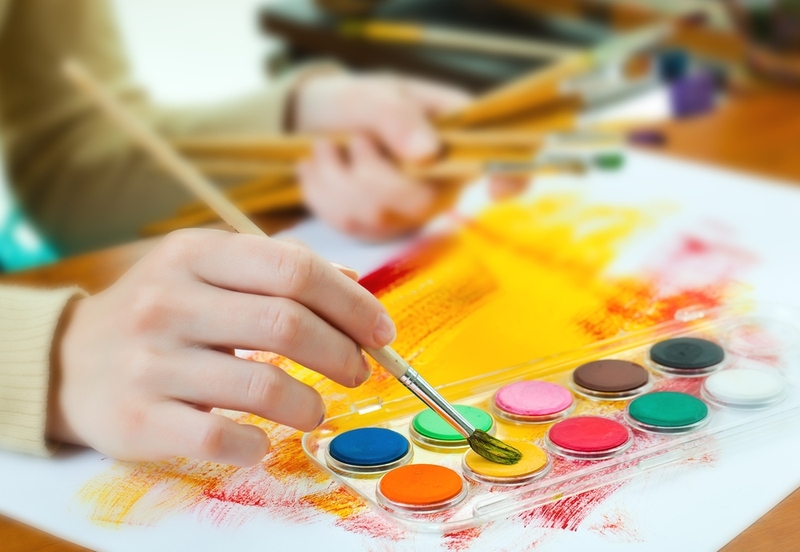 Being able to help others through the medium of art could be the career for you, if you want to combine your love of painting with care. Are you one of those people that likes to paint churches or interesting buildings? Perhaps, you'd like to consider becoming an architect. You could be designing anything from parks to roads to homes to iconic buildings. You'll have to have a love of precision and accuracy in your drawings, though, or you might find that the beautiful designs don't work. If you have the guts to turn your drawings into a reality, then you may find a reward in being able to create something that will shape the landscape for future generations to come. If you don't feel confident as a full-time artist, then you may find that being a curator is of interest for you. A curator is traditionally a keeper of cultural heritage, and typically works in a museum or a gallery. Working as a curator is more of a managerial position than an artist position. However, it does require a passion and keen interest in the art that you collect. If you have a particularly obscure interest, then you could end up being a curator of a really valuable and unique collection. So you see, if you want a career as an artist, then you don't have to be concerned about being the "starving artist". There will always be people who tell you that you are being unrealistic. It is not unwise to listen to them sometimes, as a career in art is not easy. But, if you have the passion to pursue a career in something that you love, then there are many career choices open to you. Under the Fashion umbrella, there are many different career opportunities that you can think about. If you like to draw different styles of clothing, then you may want to consider being a Fashion Designer. Or, if you're more like someone who likes to paint abstract designs or patterns with flowers and animals, then you may want to consider being a Patternmaker. If you don't feel that you have enough experience to obtain these jobs, but are interested in fashion, then try getting work as a showroom assistant. If you are more hands on and like to physically make clothing, then you can even have a go at doing freelance work, and try to sell your own creations. If you are one of those people that likes to work with patterns, then working in fashion is by no means your only option. The textiles industry also includes Interior Design and Packaging Design. You could be painting patterns for everything from carpets to tapestries, to wrapping up paper. There are options for working in many industrial and non-industrial locations as well. You will find that you can make a pattern for pretty much anything. One of the great things about working as an artist is that not only do you have all the potential companies to go to for work, but you also have the choice of trying to work for yourself. Do you think that you have unique ideas, and do you have ideas about how to sell your work? You will have to have some entrepreneurial skills as well as being talented as an artist. Think about how you'd go about selling your idea, and how you'd fund yourself. Try not to rely on potential sales rather than actual sales until you have a better understanding of what you're doing. Being a freelance artist can be difficult, but if you have an original idea, and you find the right people to invest in it, then you could find yourself on a completely unique career path.